I had really high hopes for this story of a woman who tries to escape her life and travels all the way from Sweden to Iowa, only to find her host has passed away. It sounded like the perfect palate cleanser after some somber February reading. Alas, it was so contrived and unsurprising. I could sense the author's attempt at a sweet story of an outsider that happens upon a town full of 'wacky' rural characters, yet there was no real depth to any of them. Eligible: A modern retelling of Pride and Prejudice by Curtis Sittenfeld - My NetGalley review is here! This was a quick and compelling read. I thoroughly enjoy novels with parallel plots of historical fiction paired with events set in present day. (see also: The Girl You Left Behind, A Fall of Marigolds.) It was heartbreaking and fascinating to learn about the Orphan Train riders of the late 1800s/early 1900s. Some of the plot turns seemed predictable, but it satisfyingly ticks off all the boxes of a great story. This was another quick read, although not as moving and emotional as I hoped it would be. I liked getting a glimpse into the life of an Irish immigrant in the 50s and all the intricacies of her relationships with her romantic interests, her family, and most of all, her country. I appreciated the author's unfussy, subtle writing style. But as much as I empathized with Eilis, a great character, she didn't leave an indelible mark on my heart. I also wanted more out of the ending. However, I am still excited to check out the film! This book was too cool for school! It reminded me of so many great stories. (As current YA/fantasy tends to do these days, they all seem to borrow from each other.) There are hints of Ender's Game, Wool, Game of Thrones, Hunger Games and, a more recent novel, An Ember in the Ashes (which I also loved). Yet, Brown has a very distinct voice. The world building, imagery, and emotional heft of this David vs Goliath themed story is STRONG. The high drama that unfolds around our hero Darrow (which must be a nod to Clarence Darrow, methinks) of the low mining class on Mars (the Reds), working to infiltrate the highest class of politicians and military leaders (the Golds) was edge of my seat stuff. I'm so glad I picked it up after the entire trilogy has been published, so that I don't need to wait terribly long to burn through the set. Oh dear, this book was just not at all to my liking. There was to much 'telling' the story and not enough 'showing' or putting the reading in the action. Most bio-terror apocalyptic novels (like the beginning of Station Eleven) have my heart RACING. And this was just so... boring. I really don't know how she pulled that off. Maybe just too much teen introspection? It's hard to even give a small plot summary: there were too many conspiracies, too much going on, and the pacing was just bad. There were a few poetic passages in there, and I could see the important themes she was trying to comment upon. It just didn't come together for me. 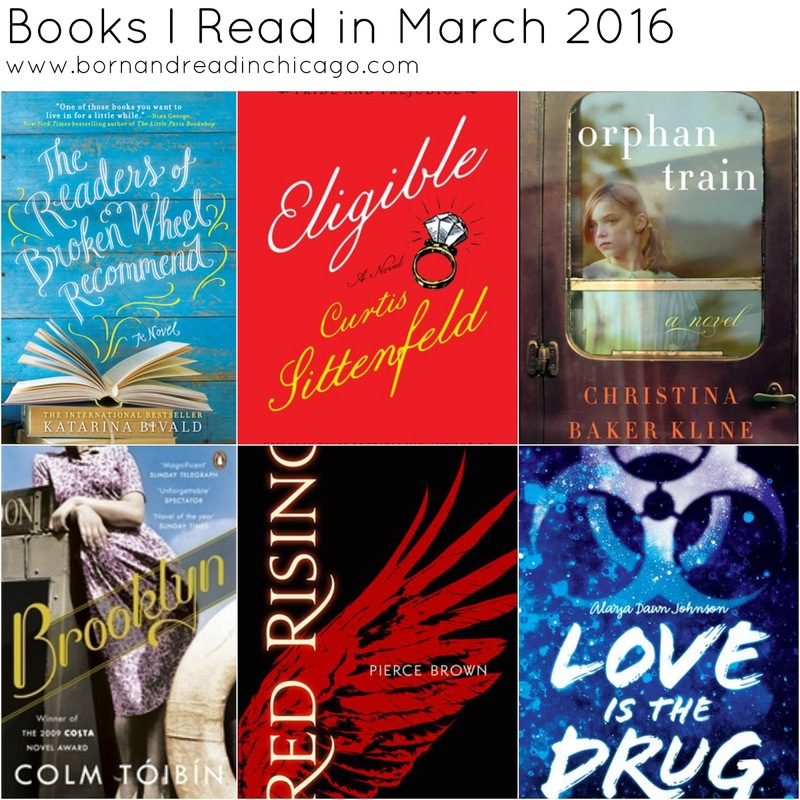 Red Rising is on my list! Looking forward to that one! 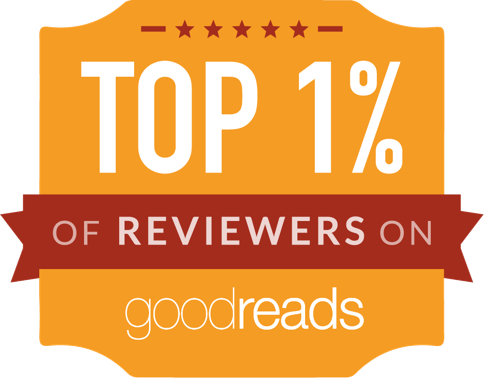 I read The Readers of Broken Wheel in March, too. I didn't mind the first half, but you're right, after that it felt very contrived. And too many book spoilers!